We hired this company for new pool construction, a very large project. They handled everything professionally, and with good customer service. Our salesperson answered all phone calls in a timely manner, and everything was done within the time frame they specified, even finishing early. I would use them again, and recommend them to anyone who has new construction. I've been meaning to write this review for months and months. 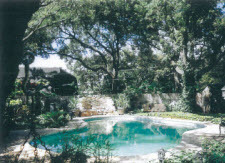 We hired Cinderella Pools of San Antonio last May for our hot tub and swimming pool construction. They consulted with us on the complete built in-ground gunite swimming pool design and worked around our busy schedule to give us the dream pool we wanted. We gave their number to our neighbor who hired them for a complete swimming pool remodel after their pool got damaged and needed pretty extensive swimming pool repairs and replastering. Our neighbors are just as satisfied as we are. 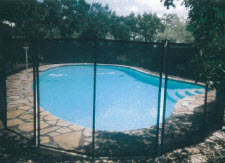 If you are looking for a professional swimming pool contractor who go above and beyond, call Cinderella Pools! 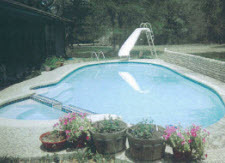 Cinderella Pools was hired to build our family pool and it was a wonderful experience. From beginning to end, I enjoyed the interaction with the extremely helpful and knowledgeable pool builders. They had a very impressive portfolio and have been doing pool construction for so long that their pool designers had amazing ideas. They built an inground gunite pool better than we could ever have imagined. They kept us abreast every step of the way and informed us of what to expect next. When unexpected issues did come up, their pool contractors knew how to handle them and kept us on schedule and within budget. We love our new swimming pool and appreciate Cinderella Pools for a fantastic job really well done. If we need any kind of pool repairs in the future, this is the only pool service company we will call. 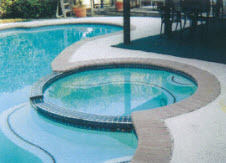 We contracted with Cinderella Pools pool builders for a complete pool remodel after our pool was damaged and we needed pretty extensive swimming pool repair anyway. We have been so happy from beginning to end! They were very helpful with the pool design phase, and mindful of our budget in helping us select a lovely tile pool decking. Their tile guys are skilled too and took great care in cutting and placing them. The swimming pool replastering was top notch. Cinderella Pools took care of everything and it was so nice not having to worry. Every day they cleaned up after themselves too. Not only would we recommend these amazing pool contractors, we already have - to at least ten people who have seen our new stunning backyard!